HiyaHiya Dumpling Cases come in beautiful, assorted brocade colors. 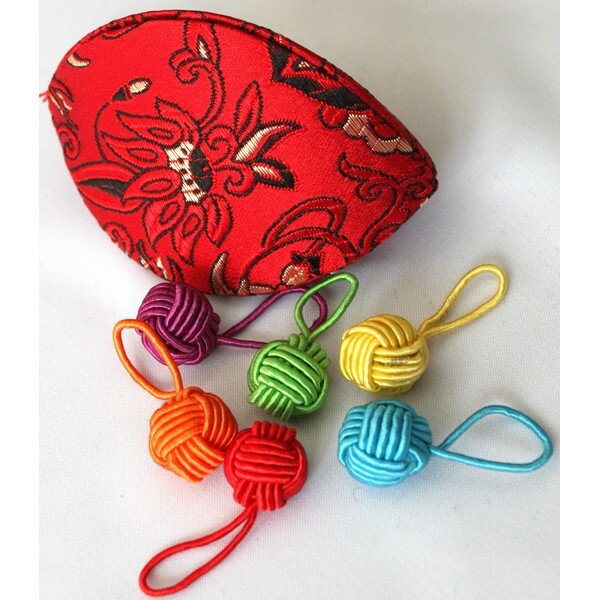 Inside each Dumpling Case you'll find 6 yarn ball stitch markers of assorted colors. Just squeeze your dumpling case to open it and when you release the case it closes effortlessly. 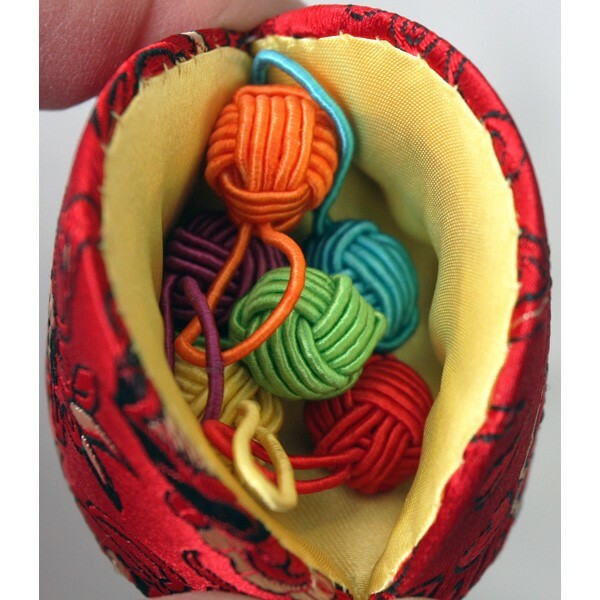 Dumpling cases are approximately 3 inches long and 1 3/4 at the widest part, perfect for storing your stitch markers or small treasures or gifts. Assorted Colors (blues, reds, pinks, greens, purples)--indicate your color range choices in the comment section of your order or let us surprise you.